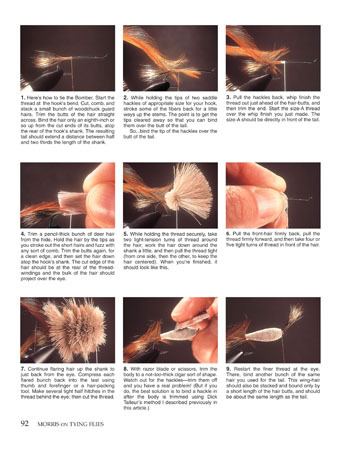 Morris on Tying Flies—are you looking for a tying book with about every imaginable type of fly—emergers, nymphs, imitative and attractor designs, streamers, freshwater, saltwater, trout, bass, panfish, bonefish, even sea-running cutthroat trout? If you are, then this book is it. 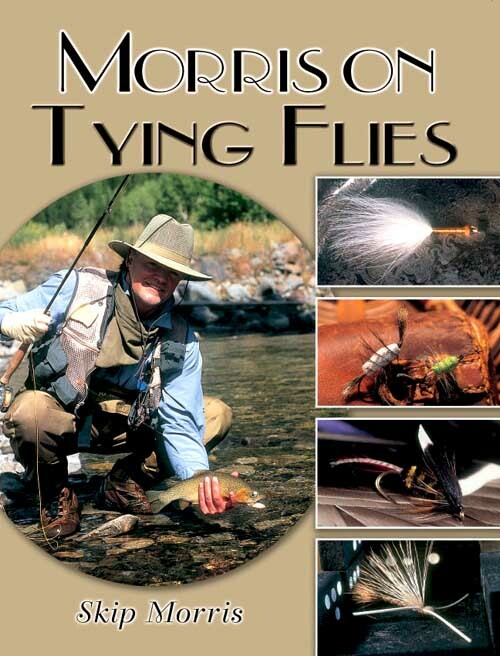 If you're also looking for a book that's worth reading for fishing and tying information and because you enjoy essays about fly fishing, Morris on Tying Flies provides these as well. You'll find such rock-solid standards as the Madam X, Montana Stone, Lefty's Deciever, Tap's Bug, and the Green Machine, along with some great flies you may never have seen, such as the Fluttering Salmon Fly, Royal Flush, and the Peacock Chenille Leech. 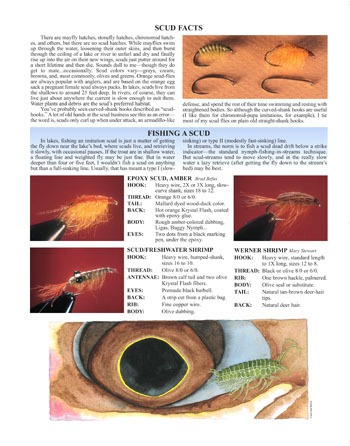 fly and tying photographs, and color illustrations. 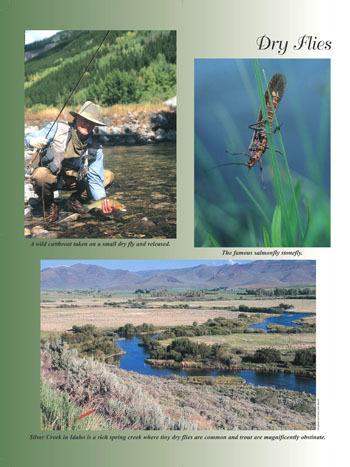 Top Left: This is a beautiful fly-tying book—the photographs and the illustrations are vivid and expressive, and will make you want to pick up your fly rod. Top Right: chapters vary from a single fly pattern to a collection of related flies as with the scud flies shown above. Right: tying instructions are thorough, and supported by crisp photographs. Two of the biggest and most trusted fly-fishing mail-order houses in the business are carrying all of Skip's books: Feather-Craft Fly Fishing (in the East: St. Louis, MO), and The Fly Shop (in the West: Redding, CA).